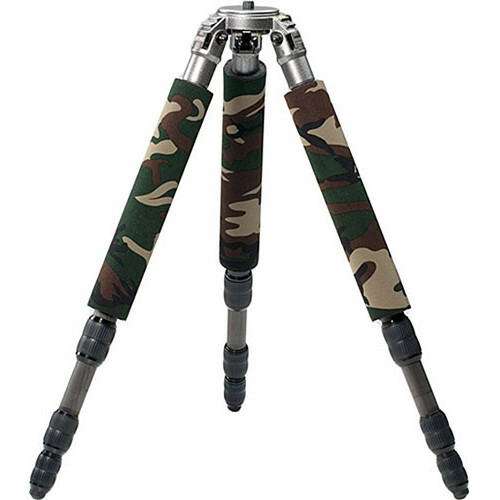 These forest green LegCoat Tripod Leg Protectors from LensCoat are compatible with Gitzo 1548 tripods. This 3-pack of LegCoat Protectors is made from closed-cell neoprene and heavy-duty padding to protect your tripod's legs from the elements, bumps and scratches. The material is also designed to be comfortable against your shoulders during transport. Additionally, LegCoats camouflage the tripod's legs when you're shooting outdoors. Open or close LegCoats with their touch fastener. Another advantage of LegCoats is that they will make your tripod easier to handle when working outside in temperature extremes. LegCoats are made in the USA and backed by LensCoat's 30-day warranty against defects. Box Dimensions (LxWxH) 15.5 x 7.6 x 1.9"